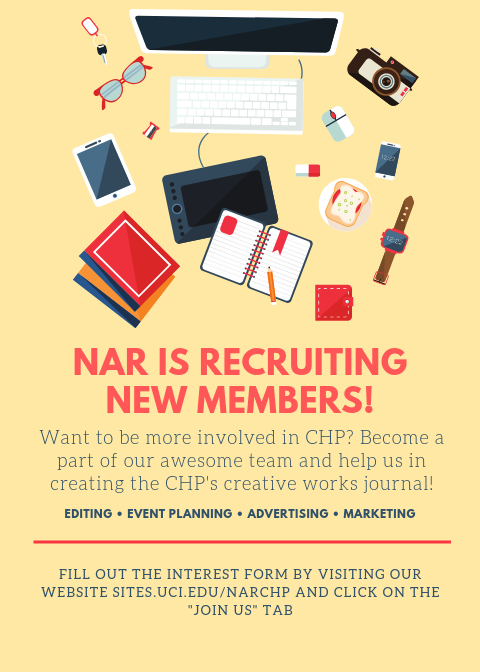 NAR is recruiting new staff members! As the CHP’s creative works journal, NAR strives to encourage creative self-expression among CHP students. 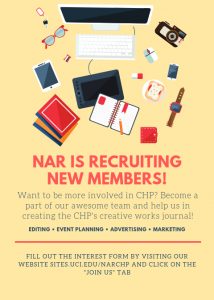 Joining NAR is a great way to get involved with the CHP community while gaining diverse publishing, marketing, planning, and leadership experience. If you’re interested in joining NAR, please click on the “Join Us” tab above to fill out the interest form. We look forward to hearing from you!